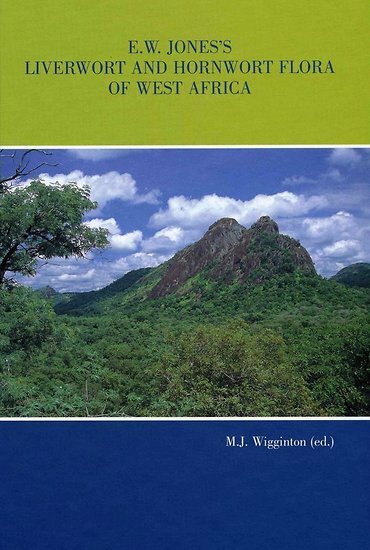 This is the first fully illustrated and complete identification guide to the hepaticae of West Africa (Mauritania to Cameroon and Rio Muni and the Gulf of Guinea Islands). Keys and descriptions are presented of the 30 families, 84 genera and 297 species of liverworts and hornworts recorded from the region. The flora also provides an introduction to the morphology of these organisms and explains how to collect and study them. Not only is it a valuable source of information on the relationships and the morphology of these species, it also gives information on habitat and distribution useful for ecologists and conservationists. Eustace Wilkinson Jones, 1909-1992, a lecturer at the Forestry School, Oxford University, collected extensively hepatics during his forestry work in Africa. He published over seventy bryological papers, over forty of which were devoted to African hepatics. 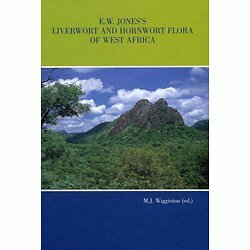 He worked for many years on a hepatic flora of West Africa, but died before he could complete it, leaving a draft manuscript of keys and descriptions. Martin James Wigginton, 1944- , has spent most of his working life in nature conservation, and has published about thirty papers on vascular plants and bryophytes. He has brought the next of the flora into line with the most recent literature, and extended the area covered by the flora far beyond the Gulf of Guinea. Omer Van de Kerckhove, 1957- , botanical illustrator working at the National Botanic Garden of Belgium and an authority in watercolours of fungi, prepared illustrations of about fifty species of hepatics for which there had hitherto been no adequate published illustration of African material.